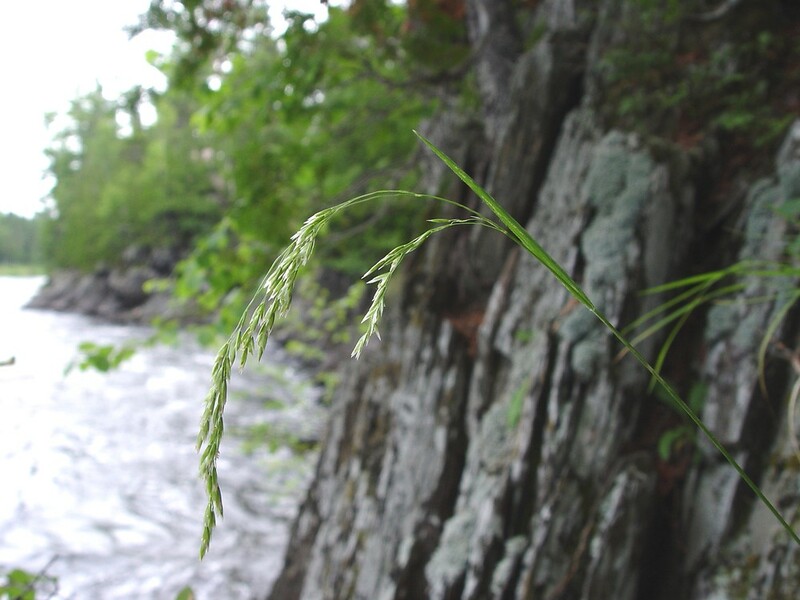 Graphephorum is a rare grass from ice-scoured river shores, river shore rock ledges, and cliffs, usually on calcarious rock or soils. 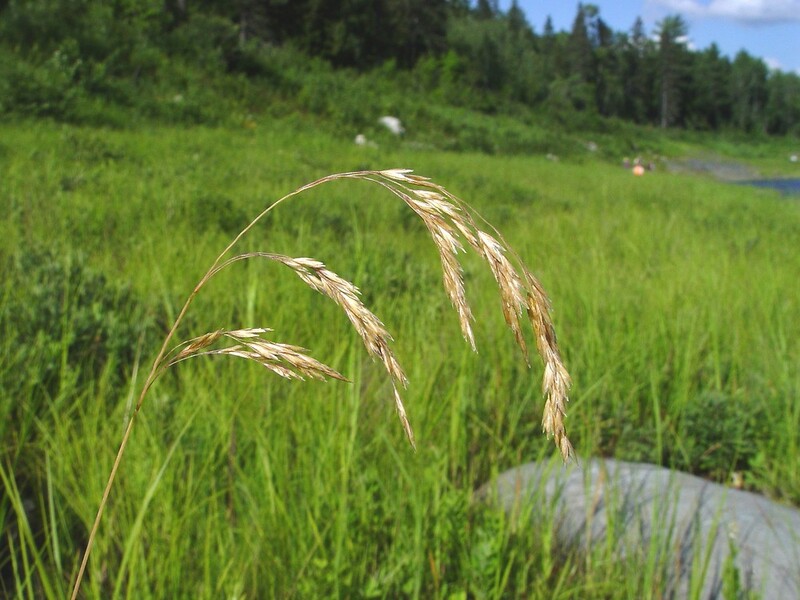 It is currently or historically known from Maine, New Hampshire and Vermont. 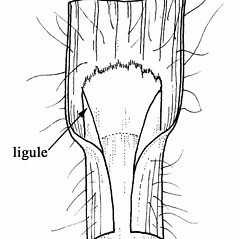 awn attached above the middle of the lemma and lemma apex bifid (vs. G. melicoides, with the awn attached below the middle of the lemma, and lemma apex entire to bifid). 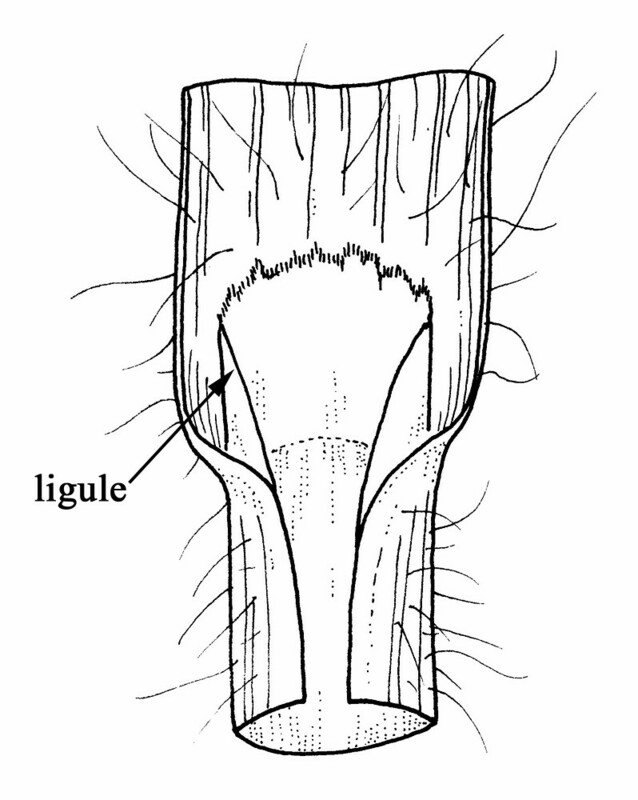 lemmas with awns 3–9 mm long, the awns conspicuously surpassing the apex of the lemma, and callus of lemma pubescent with hairs up to 1 mm long (vs. G. melicoides, with lemmas unawned or rarely with rudimentary awns shorter than 2 mm, and callus of lemma pubescent with hairs 1.5–2 mm long). 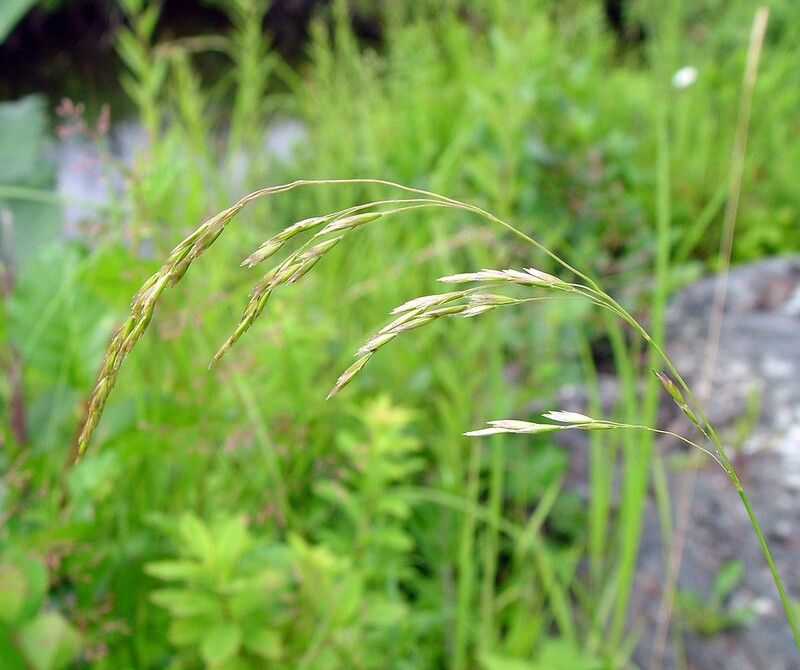 Trisetum melicoides (Michx.) Vasey ex Scribn. 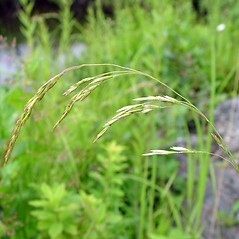 Trisetum melicoides (Michx.) Vasey ex Scribn. var. majus (Gray) A.S. Hitchc. 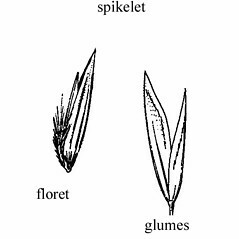 graphephorum. 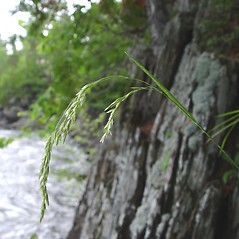 Aira melicoides Michx. 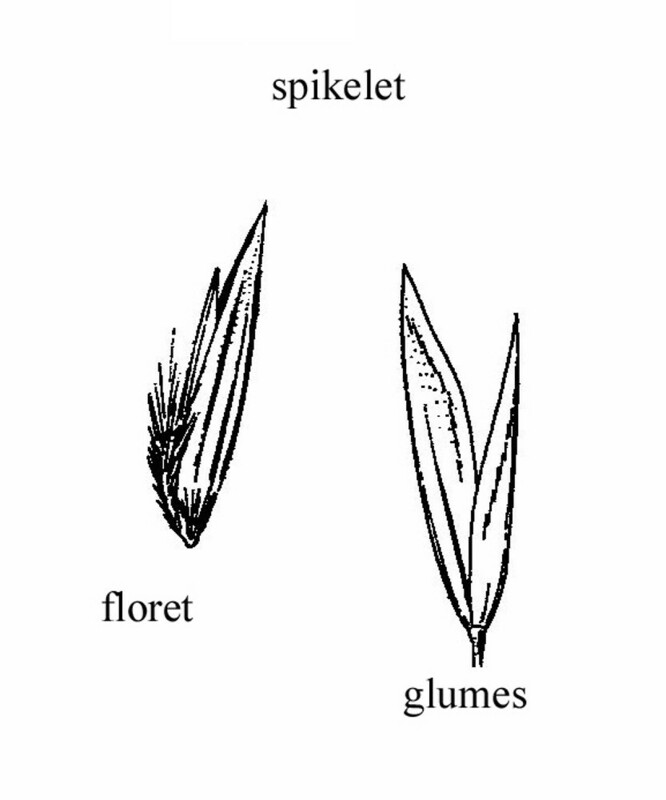 ; Trisetum melicoides (Michx.) Vasey ex Scribn. 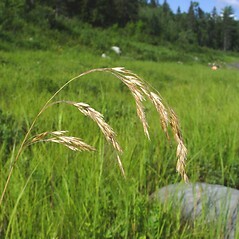 ; T. melicoides (Michx.) Vasey ex Scribn. var. majus (Gray) A.S. Hitchc. • ME, NH, VT. Ice-scoured river shores, river shore ledges, inland cliffs, usually in regions of high-pH bedrock or till.